For April’s #DrawSomethingEveryday I started using acrylic and watercolors to allow more variation of line and tonal quality. Several people assume drawings are done only using graphite or ink, but drawing is not so limited. …Drawings, made in different ways, … help define and also … stretch the boundaries of what drawing is. They vary in the medium used, which includes metal-point, graphite, charcoal, ink, and chalk. Some fulfill the strict dictionary definition of drawing, others do not. – Victoria and Albert Museum, What is drawing? While watching TV I started writing down phrases and sentences I liked or that stuck with me so I could draw them out with paint. 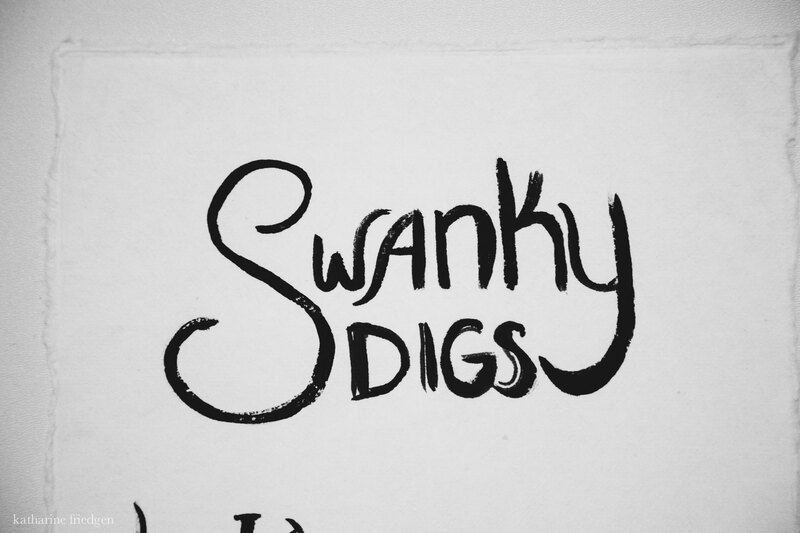 “Swanky digs” was one of the phrase drawings I enjoyed the most. 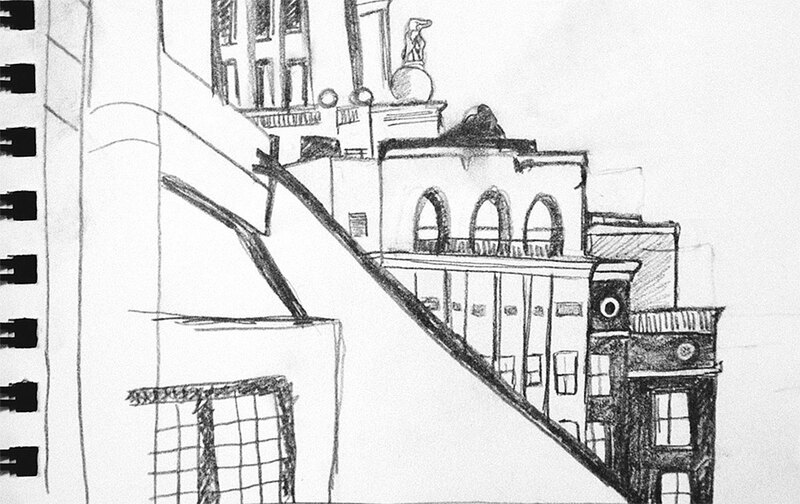 As the weather began to warm up I started sitting on my deck and drawing the shapes and silhouettes of the city. This first drawing started out as a blind contour and after the first round I went back to add details throughout the building. This led to a slightly wonky architectural rendering, but one with personality. 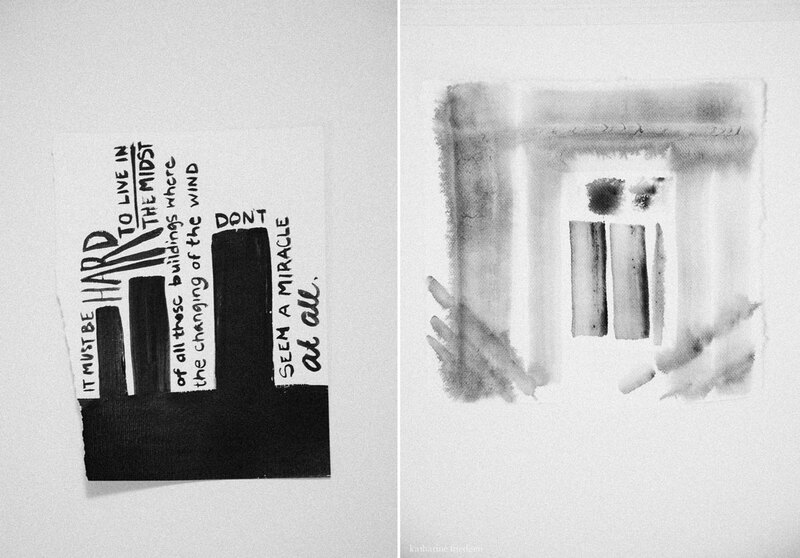 The drawing on the right was drawn with a blot brush – I wanted a more gestural look. 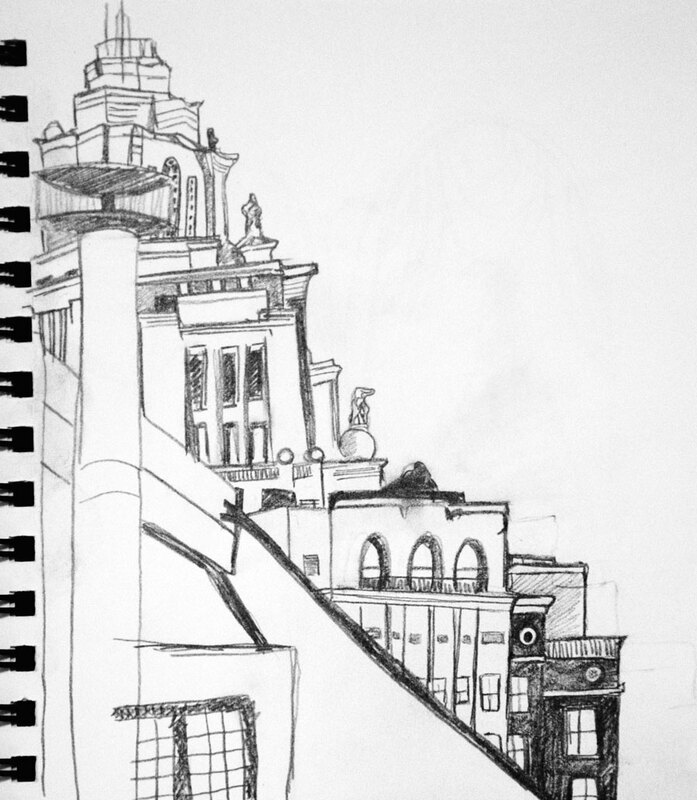 So I took a cityscape and it eventually became more of an abstract and patterened drawing. ‘Til next time, keep drawing!